For most of us summer is the most pleasurable and desirable season of the year. It is a wonderful time when we have vacations, go to the seaside or other picturesque places, enjoy sunny weather and have open-air parties. Meeting with friends always brings us joy and happiness. Barbecue is usually the most preferable choice for a summer rave-up. However, it would be nice to try something new and interesting instead. Today it has become popular to throw themed parties that are very funny and memorable. For this you need to prepare special food, decorations and clothing that should be suitable to your theme. So, if you want to impress your friends next time when you get together, keep in mind the following themes that may be used for your summer party. This party is a great opportunity to plunge into Mexican culture just in your backyard. You are supposed to regale your guests with exotic Mexican dishes. Get ready to use a lot of cilantro and lime for this occasion. Make sure to include grilled chicken, salsa dips and tacos into your menu. 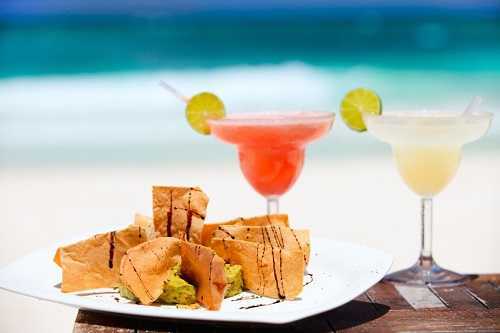 Sure, Margarita is the top beverage that will represent Mexican theme at the party. Think of some games in order provide cheerful atmosphere for this meeting.